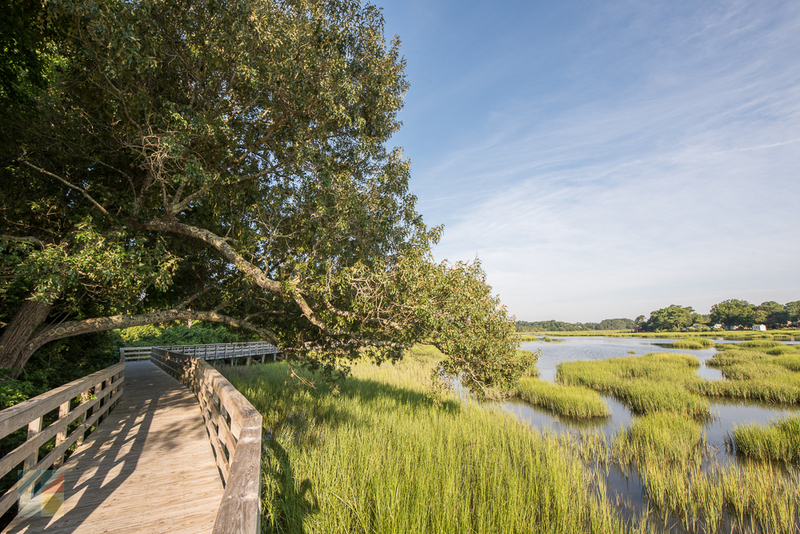 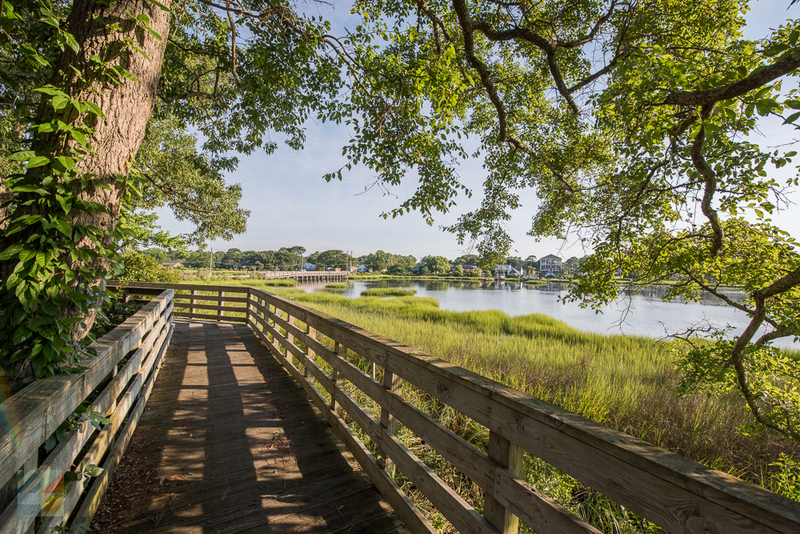 Though it’s located in a fairly busy section of Morehead City, the Calico Creek Boardwalk is a breath of fresh air for birdwatchers, nature fans, and everyday sightseers, thanks to its picturesque location on the edge of the slightly inland Calico Creek. 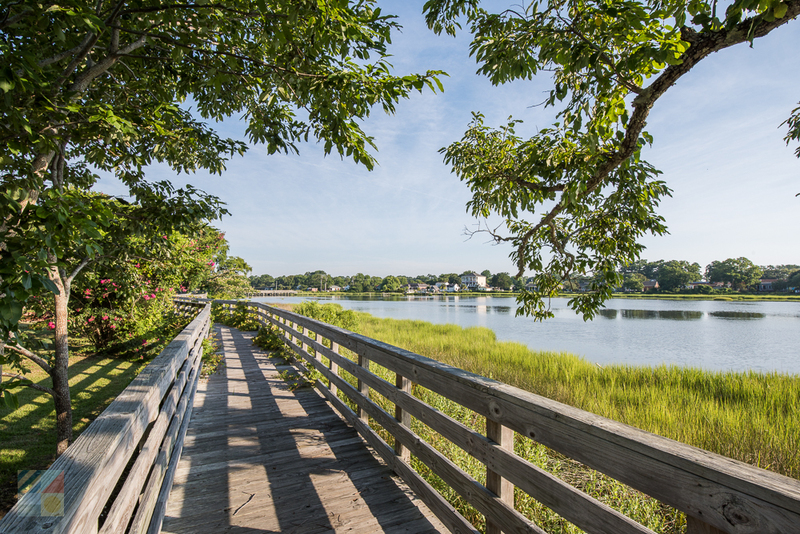 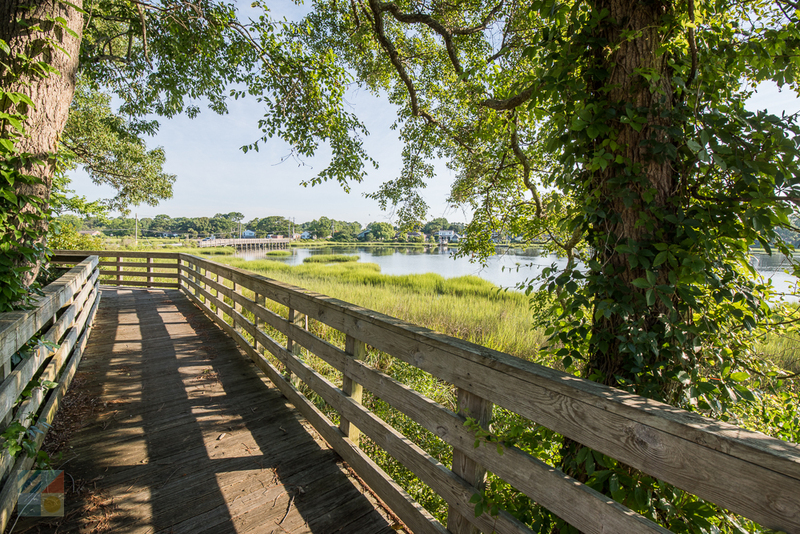 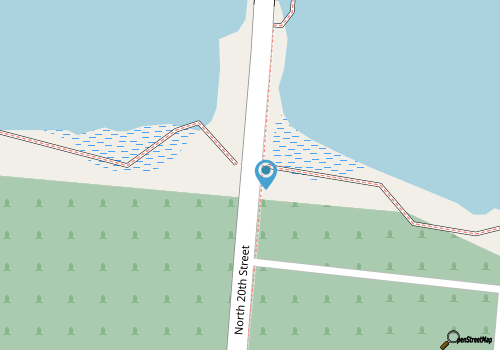 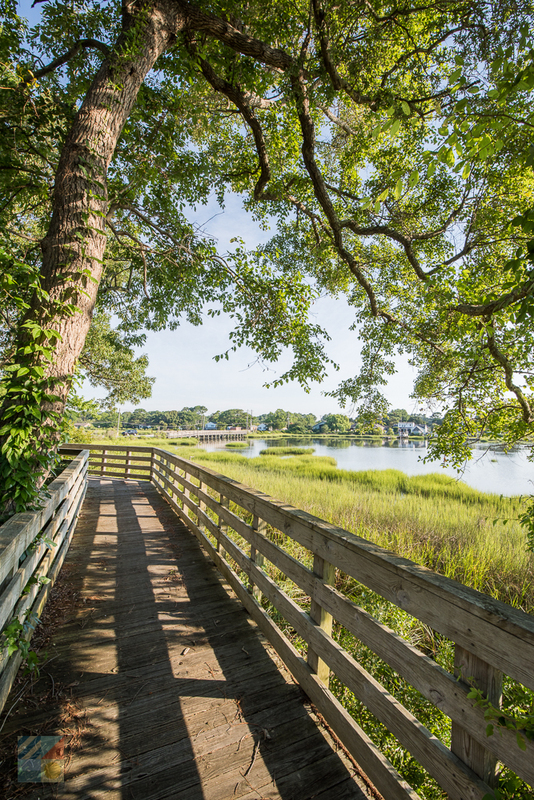 Located on the northern borders of the downtown area, this secluded boardwalk hugs the water’s edge and presents some outstanding opportunities to catch views of local birds and wildlife without leaving the heart of Morehead City. 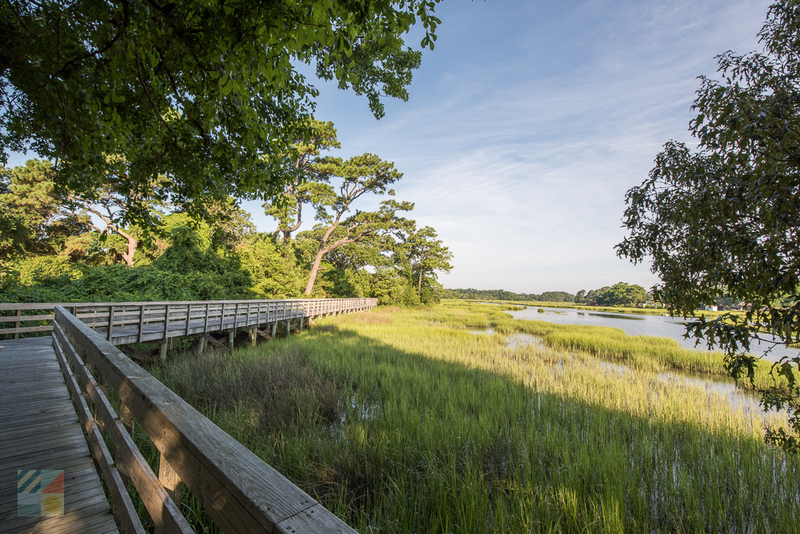 Calico Creek Boardwalk is a noted spot on the NC Birding Trail, despite its somewhat urban location. 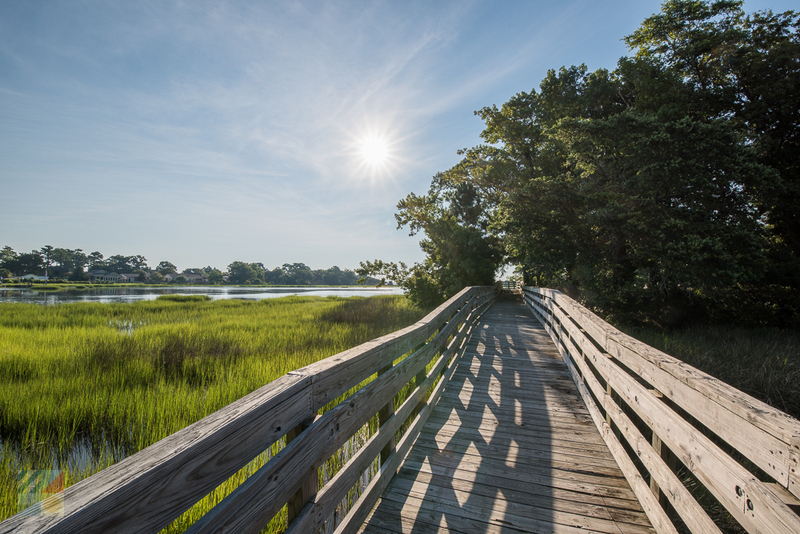 While walking along the wooden boardwalk, visitors can be on the lookout for a wide variety of migrating shorebirds, wintering waterfowl and water birds, and even a few rare species like the clapper rail, which tends to hide among the local marsh grasses. 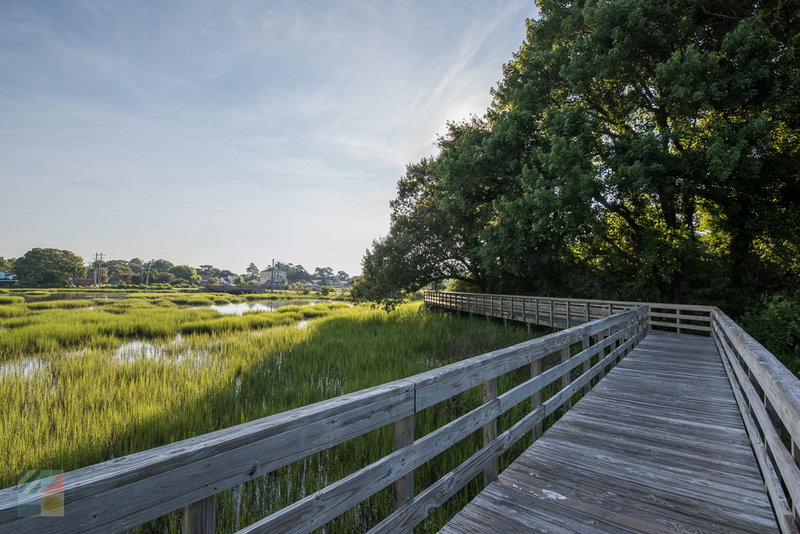 The Calico Creek Boardwalk extends along Bay Street from North 19th Street to North 22nd Street, and although it is relatively short, it’s a fine spot to enjoy a sunrise or sunset-timed stroll. 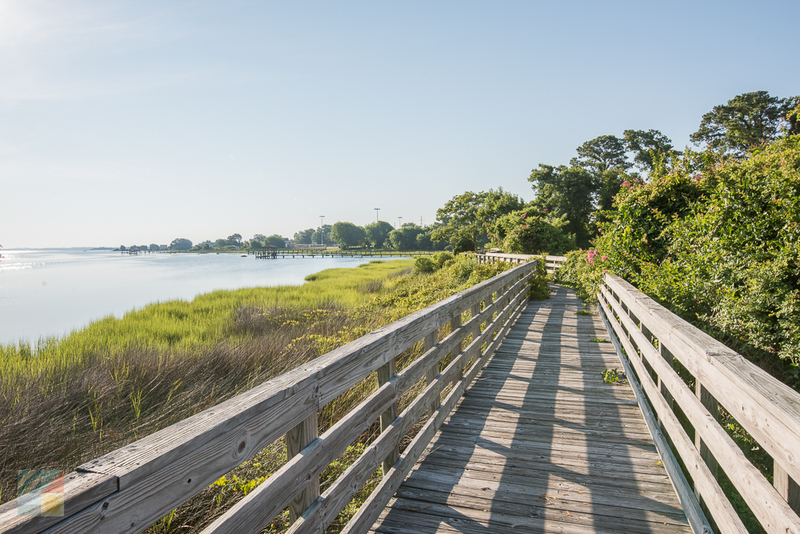 A unique destination that’s hidden among local houses and businesses, the Calico Creek Boardwalk is a refreshing destination for any visitor or local who wants to take a break from a downtown expedition and enjoy the local wildlife scene.